Palacio de Crista in Madrid. How Romantic! It’s hard to name a country that conjures up as much passion as Spain. From the fiery Flamenco to the heart-stopping sight of the handsome Matador in the bull ring, Spain is the perfect destination for any romantic getaway, especially if it involves a marriage proposal! 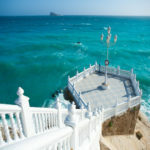 The sheer number of beautiful locations in Spain can make it difficult to choose which is best for that perfect proposal – here are a few suggestions that are bound to make that special moment one that you’ll both remember forever. 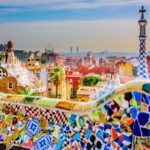 Antoni Gaudí was one of Spain’s most famous architects and his highly creative, quirky buildings can be seen throughout the beautiful city of Barcelona. While most of Gaudí’s buildings would make a perfect backdrop for a marriage proposal, one of the most impressive is the Sagrada Familia. This Gothic-inspired church, which is still under construction in parts, is a UNESCO World Heritage site and absolutely stunning in its impressive scale, amazing stained-glass work and unique layout. 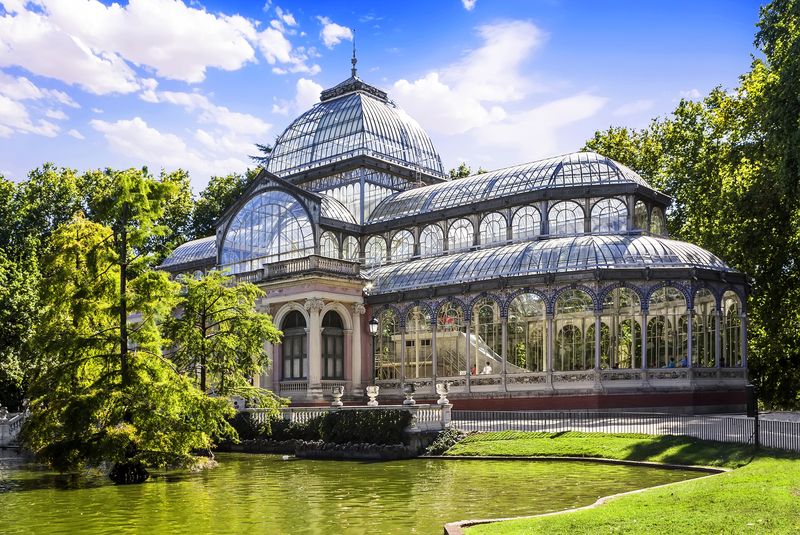 The shimmering Palacio de Cristal, located in Madrid’s Buen Retiro Park, is an extremely popular place for weddings and it’s easy to see why! Nestled among the more than 15,000 trees of the famous park, the light bounces off the glass and metal with its high domed roof and delicate birdcage-like structure. Couples visiting the Palacio de Cristal can also enjoy the many art exhibits in the building or take a boat out on to the park’s lake to take in the wildlife and lush scenery. Not far from the Palacio de Cristal is Buen Retiro Park’s beautiful rose garden; with its winding paths and water features, it’s the ideal place to get down on one knee and pop the question! Visiting the historic village of Vejer de la Frontero is truly like stepping back in time. Often called ‘the white village’ due to the white-washed buildings that dot the hillside above the River Barbate and the white beaches of the Costa de la Luz, Vejer de la Frontero is steeped in history. Many of the cobbled streets that wind their way around the village are too narrow for cars, so this is a pedestrian paradise and perfect for couples to lose track of time while discovering hidden shops, restaurants and ancient architecture. Surrounded by this much beauty, it would be impossible not to feel the urge for a grand romantic gesture. Known as the ‘Venice of Seville’, there are so many parts of the Plaza de España to choose as a place for your proposal, you might have trouble deciding exactly where to do it! This sprawling Renaissance-style building boasts high towers that can be seen from most parts of the city and is surrounded by canals, bridges, hidden alcoves and water fountains. The pretty plaza is perfect for strolling arm in arm on a sunny day or hopping on one of the many horse and carriage rides that transport visitors around the city. The Plaza is also known for its spontaneous Flamenco performances which are bound to fan the flames of romance! 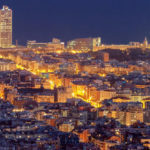 While visiting Madrid, a ride on the Tereferico Cable Car is a must and, as a place for a proposal, it doesn’t get any more unique. The stunning views from the cable car, which takes riders high above the city over the River Manzanares and up to Casa de Campo Park, will take your breath away especially if you take your trip at sunset. Seeing the stunning city of Madrid bathed in the late afternoon sun will be a memory neither one of you will forget. The Alhambra Palace, located in the ancient town of Granada, has been described as one of the most romantic places on earth and even houses a structure called ‘The Romantic Observation Point’. 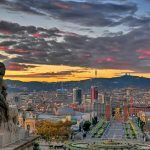 This complex of monuments and impressive Moorish architecture is hard to beat as an ideal couple’s getaway, especially if a proposal is in the mix! 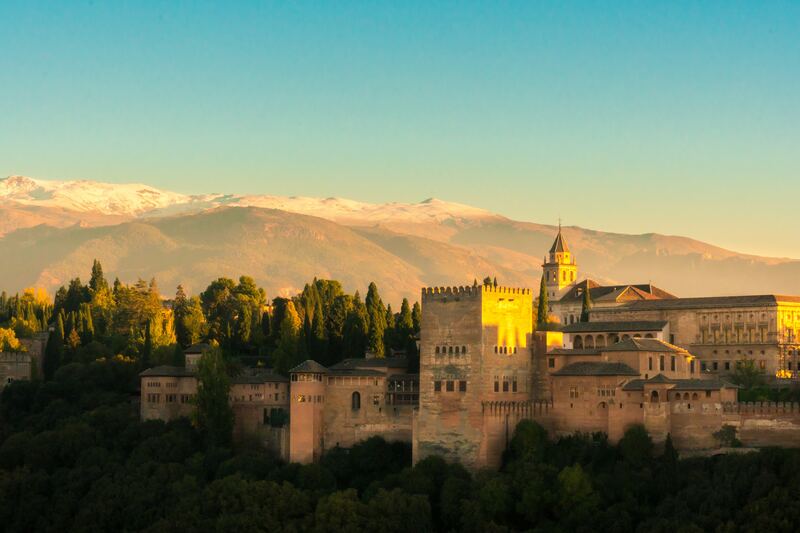 Surrounded by the magnificent peaks of the Sierra Nevada mountains, the Alhambra Palace is unlike any other place with its rich history, beautiful gardens and unparalleled views. 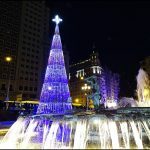 Whichever destination you choose to ask that all-important question, Spain provides a backdrop of romance and passion that you’ll both remember forever.